(The Wrap-Up Magazine) With only 15 days left before the new album is released by Gansta Marcus, the producer releases the official track list to the album with music links for downloading. The releases date is set for May 16th. 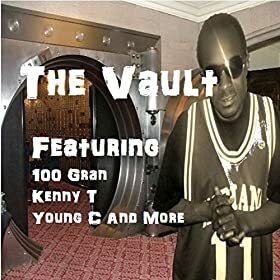 "The Vault" is a compilation of various artist out of Mississippi and Ohio. All artist are represented by Gansta Marcus and produced by him. Click on any song below to listen directly or get the whole album.